Come join the Greater New Milford Chamber of Commerce for a fun night of bowling and friendly competition on April 26th from 6 to 8 pm at Dolrbills Bowling Center, 145 Danbury Road in New Milford. 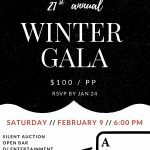 Cost is $25.00 per person with a team maximum of 6 and includes one hour of regular and one hour of glow bowling, shoes, and one pitcher of beer and one pitcher of soda per lane. Additional beverages and food available for purchase. Space limited. 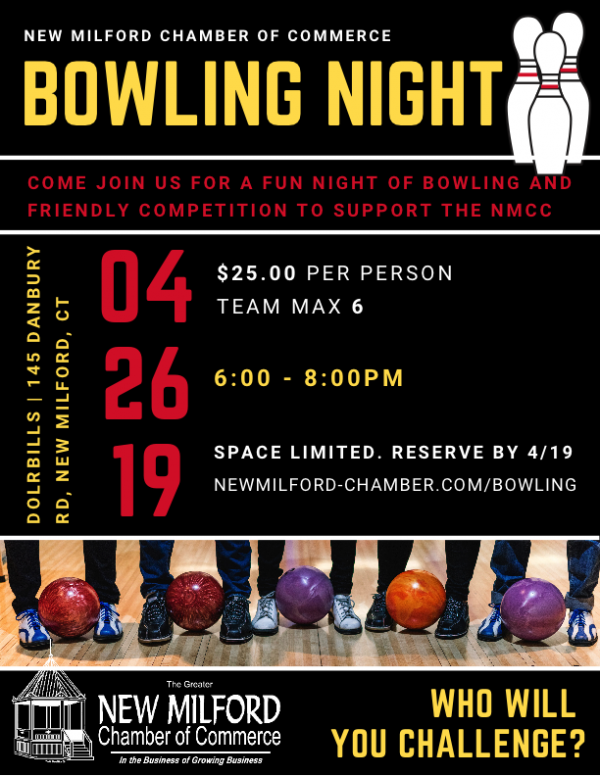 Register by 4/19/2019 at www.newmilford-chamber.com/bowling.